Piggott lays smackdown on The Great One with a story of turning down rumply-pumply with 19 year old girls. The only squat rack at the gym. The Dutch don’t do lunch. Vox Day’s possible movie empire. 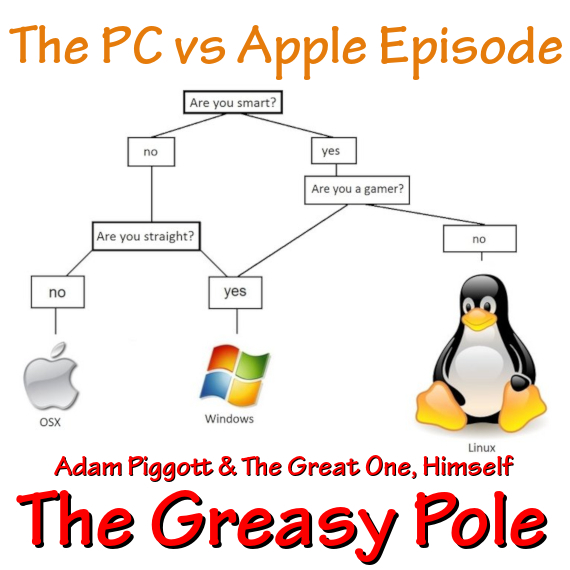 Apple vs PC – comparing apples to oranges.